Johnson carried 16 times for 59 yards and caught all four of his targets for an additional 41 yards during Sunday's 18-15 win over the 49ers. 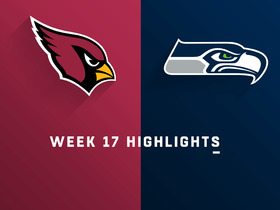 Johnson returned to Sunday's game against the 49ers late in the fourth quarter after being evaluated for a concussion, Kyle Odegard of the Cardinals' official site reports. 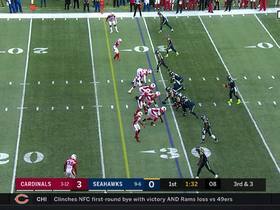 Analysis: The Cardinals were forced to rely on Chase Edmonds for most of the deciding drive, but Johnson re-entered the contest once the team approached the goal line. We should have another update on Johnson after the conclusion of the game. Johnson left Sunday's game against the 49ers in the fourth quarter to be evaluated for a concussion, Kyle Odegard of the Cardinals' official site reports. Analysis: Johnson jogged to the locker room with a trainer late in the fourth quarter, leaving the Arizona backfield in Chase Edmonds' hands as the team attempts to erase a five-point deficit. Johnson had 101 yards on 19 touches (three catches) at the time of his exit. Coach Steve Wilks believes new offensive coordinator Byron Leftwich will get Johnson more involved in the Cardinals offense moving forward, Darren Urban of the team's official site reports. Johnson rushed 14 times for 39 yards and brought in all three of his targets for another 31 yards in the Cardinals' 45-10 loss to the Broncos on Thursday. Johnson carried 18 times for 55 yards and a touchdown during Sunday's 27-17 loss to the Vikings. He also caught two passes for 15 yards on five targets and lost a fumble. Johnson had 18 carries for 55 yards and two touchdowns while catching two of three targets for 16 yards in Sunday's 28-18 win at San Francisco. Analysis: Johnson continued to struggle in a favorable matchup, averaging about three yards per carry, although the two touchdowns helped fantasy owners. Surprisingly, Johnson still hasn't been involved much as a pass catcher through five games this season. There is optimism that rookie Josh Rosen can make the offense competent, but that has not come to fruition as of yet. In Week 6, Johnson will look to get on track against a tough Minnesota rush defense. Johnson rushed 22 times for 71 yards and one touchdown during Sunday's 20-17 loss to the Seahawks. 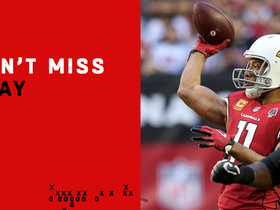 He added three receptions for 41 yards on four targets. Johnson had 12 carries for just 31 yards, but scored on a 21-yard touchdown reception in Sunday's 16-14 loss to the Bears. He caught all four of his targets for 30 yards. 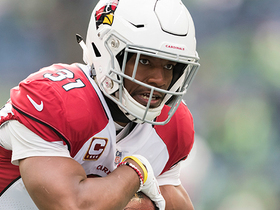 Arizona head coach Steve Wilks acknowledged Monday that the team needs to be more "creative" in finding ways to get Johnson the ball in space, Darren Urban of the Cardinals' official site reports. "We talked about that," Wilks said, referring to his conversations with offensive coordinator Mike McCoy regarding Johnson's usage. "We've got to utilize David from the standpoint of getting him out of the backfield, putting him in the slot, putting him out there to try and create that matchup that we need." Johnson took 13 carries for 48 yards and caught one of two targets for three yards in Sunday's 34-0 loss to the Rams. Analysis: The issue wasn't Arizona abandoning the run so much as the Rams dominating possession with a 67-43 advantage in snaps. 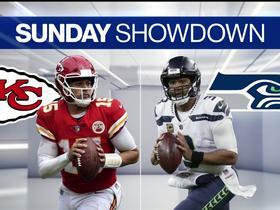 Johnson at least found pay dirt and drew nine targets in last week's ugly loss, but he was rendered irrelevant Sunday in a thoroughly terrible performance by the Cardinals. Despite the concerns regarding team context, Johnson should bounce back -- at least to some extent -- in a Week 3 home game against the Bears. Johnson (back) doesn't have an injury designation for Sunday's game against the Rams, Darren Urban of the Cardinals' official site reports. Analysis: After logging limited practices the previous two days, Johnson made it back to full participation Friday. He should be fine to handle his usual hefty workload, but a road game against the Rams isn't the best spot in terms of efficiency. Speaking after Friday's practice, Johnson labeled himself "100 percent" healthy, per Josh Weinfuss of ESPN.com. Johnson (back) was a limited participant at Thursday's practice, Darren Urban of the Cardinals' official site reports. Analysis: Although his activity level remained the same from Wednesday to Thursday, Johnson was present and active in the open portion of the latter session, at one point taking on the blocking sled, per Urban. There's no reason to believe Johnson's availability is in doubt for Sunday's road jaunt against the Rams, but Friday's injury report will spell out his potential to play in the contest. Johnson was limited in practice Wednesday due to a back injury, Darren Urban of the Cardinals' official site reports. Analysis: Johnson has been dinged up from time to time in his career, but only the dislocated wrist he suffered last season has forced him to miss game action. On this occasion, he was able to work through the back issue Wednesday and has two more chances to elevate to a full workload before the end of the week. Johnson ceded snaps to rookie Chase Edmonds during the Cardinals' Week 1 loss to the Redskins, which could happen again if the veteran enters the weekend at far less than 100 percent. Johnson had nine carries for 37 yards with a touchdown and caught five of nine targets for 30 yards in Sunday's 24-6 loss to Washington. Johnson signed a three-year, $39 million extension with the Cardinals on Saturday, Adam Schefter of ESPN reports. The deal is worth up to $45 million and includes $30 million guaranteed. Analysis: It's a well-deserved extension for Johnson, and the deal will take him through the 2021 season. Johnson was basically sidelined the entire 2017 campaign after injuring his wrist. His last NFL action came in 2016, when he rushed 239 times for 1,239 yards and 16 touchdowns. He also caught 80 passes for 879 yards and four scores. Johnson is clearly a dynamic talent and will be leaned on heavily in Arizona this season. Johnson took six carries for 22 yards and a touchdown and caught his only target for five yards in Friday's preseason game against the Saints. Johnson, who logged just two carries for 28 yards in Saturday's preseason win over the Chargers, could be in line for more action in Friday's preseason game against the Saints, the Cardinals' official site reports. "David didn't play last year," coach Steve Wilks said of his star running back, whose 2017 season ended after just 11 carries. "And you talk about the timing...I think it's important he plays quite a bit. When I say quite a bit, I'm talking my standards." Analysis: That said, Johnson isn't likely to handle a huge workload Friday, but Wilks did suggest that the running back figures to see more action in the next two games than he did in the Cardinals' preseason opener, when he was one the field for just two snaps on offense. Johnson had two carries for 28 yards in Sunday's preseason win over the Chargers. Analysis: Johnson had back-to-back 14-yard carries to show he's back to full speed after missing all but one game last year due to a dislocated left wrist. He may not get much more action in the preseason, but Saturday's game will build confidence that can be back to his pre-injury form for Week 1 of the regular season. Johnson reported to the Cardinals' facility Monday, Kent Somers of The Arizona Republic reports. Johnson will not participate in this week's mandatory minicamp as part of a holdout for a contract extension, Adam Schefter of ESPN reports. Johnson missed practice with an undisclosed injury, but it is not serious, Kent Somers of The Arizona Republic reports. Analysis: It's seems odd that Johnson's exact injury is unknown given that the star tailback is coming off a long recovery from wrist surgery and declared back in April that he was "100 percent." Regardless, it doesn't appear that there was any sort of setback with Johnson's left wrist nor any concern about his current health status. 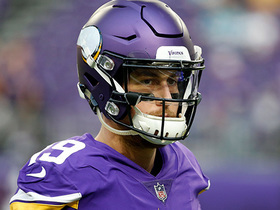 It still is a situation worth monitoring, however, until Johnson is able to return to the practice field this offseason. Johnson said he still has the same individual goal of reaching 1,000 rushing and 1,000 receiving yards in a season, NFL Network's Will Selva reports. 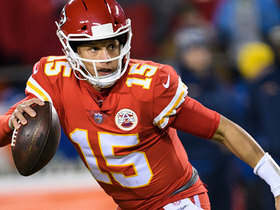 Johnson confirmed Thursday that his left wrist is "100 percent" and he'll be "full speed" during OTAs, Josh Weinfuss of ESPN.com reports. Johnson (wrist) has been cleared from injury and will not be limited during the Cardinals' offseason program, Darren Urban of the team's official site reports. Johnson (wrist) is still in the process of gaining full clearance, but he should get there by the time the Cardinals start Organized Team Activities on May 15, Darren Urban of the team's official website reports. Johnson will be working alongside quarterback Sam Bradford in 2018 after the latter signed with the Cardinals on Friday. Johnson (wrist) has been fully cleared to resume all activities, Kent Somers of AZCentral Sports reports. In a podcast interview, Johnson said his wrist is healed and his strength and full range of motion are returning, Darren Urban of the Cardinals' official website reports. Analysis: A good sign for the highly-touted running back as he heads into the offseason, looking to put the injury-riddled 2017 campaign behind him. Although the reports say the wrist if fully healed, the injury is still something to keep an eye on heading into offseason workouts. Cardinals general manager John Keim said Johnson (wrist) will only return this season if there's no gray area regarding his health, Darren Urban of the team's official website reports. Analysis: Recent comments from both sides suggest that player and team are in agreement, not quite ready to rule Johnson out for the season but also showing no desire to rush him back into action without any realistic shot to reach the playoffs. Given that Johnson said his wrist felt stiff less than two weeks ago, a return still seems unlikely. The Cardinals probably would want to see him get at least one full week of practice before potentially bringing him back for Week 16 or 17. Johnson said Friday that his left wrist is still stiff following September surgery and he has yet to regain his full range of motion, Kent Somers of The Arizona Republic reports. 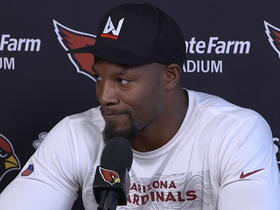 Analysis: Johnson didn't close the door on the possibility of returning before Arizona's season ends Dec. 31, but that's growing increasingly unlikely with the 5-6 Cardinals on the periphery of the playoff picture. Until Johnson takes part in practice in some capacity, a return this season shouldn't be viewed as especially realistic. Cardinals head coach Bruce Arians said Wednesday that he doesn't believe Johnson (wrist) has made enough progress in his recovery from surgery to return from injured reserve this season, Darren Urban of the Cardinals' official site reports. 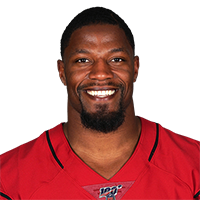 Johnson, who had the cast removed from his surgically repaired left wrist earlier this week, said Wednesday that doctors haven't given him a timetable for his return to the field, Jeremy Cluff of The Arizona Republic reports. "My doctor said don't make a return schedule because you never know with the risks, you know it's such a tricky thing," Johnson said. "I've had it in a brace for eight weeks and it is still stiff and its still weak so he said, 'Don't, you know, don't make a schedule.'" Johnson (wrist) had his cast removed Monday, Darren Urban of the Cardinals' official website reports. Johnson (wrist) wants to play again this season if he's medically cleared at some point, Kevin Zimmerman of Arizona Sports 98.7 FM reports. 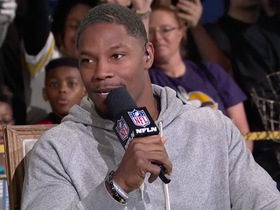 "It really just depends on, when I have the cast off, how long it takes the stiffness and soreness to go away," he told Adam Schefter of ESPN earlier this week.